Kids Work It Out has joined the #GivingTuesday movement because the global movement is very powerful and every child has the right to be healthy, happy and strong. The movement allows the organization to share its story with others and encourage the spirit of giving to make a difference in the lives of Detroit children. 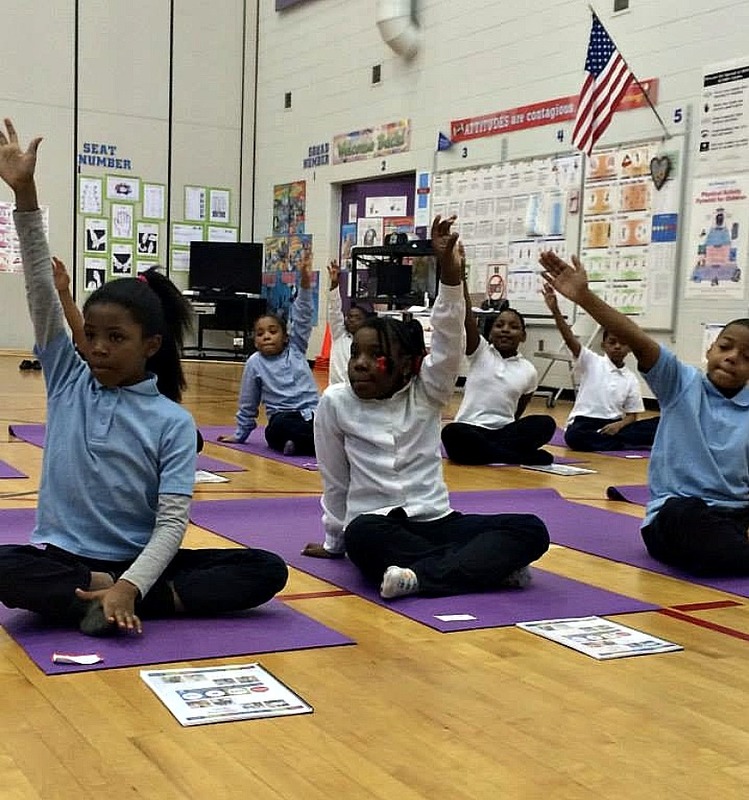 This #GivingTuesday, Kids Work It Out’s goal is to raise $25,000 to fund a Center for Youth Yoga — the first of its kind in the city of Detroit. The center will give children of Detroit more comprehensive and in-depth opportunities to improve their health and quality of life. Being a part of the #GivingTuesday community also provides the opportunity to share the Kids Work It Out story with a wider audience to gain followers and generate support for its continuous initiative to combat childhood obesity and improve the quality of life for children in Detroit. Nate McCaughtry, director of the Center for Health and Community Impact, said “#GivingTuesday is our initial attempt to fund and launch the Center for Youth Yoga at Wayne State University. 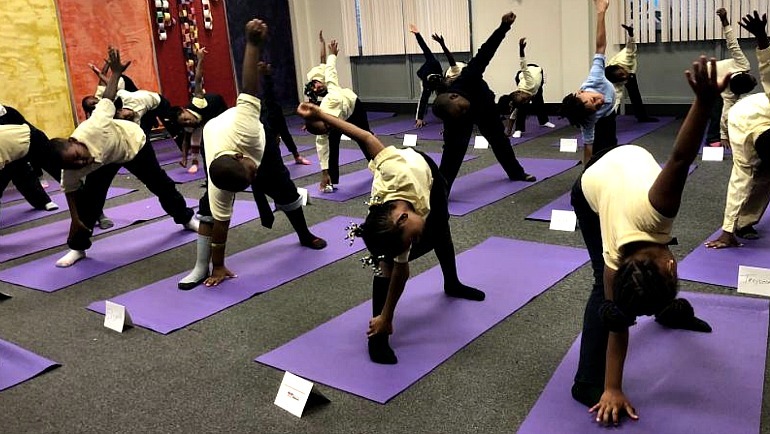 Given our history of delivering high-quality programs across the city, making real differences in children’s lives and the daily calls from children clamoring for more extensive opportunities with the program, we are confident that the first Center for Youth Yoga will be a resounding success. The #GivingTuesday movement allows us to share this goal beyond the city of Detroit and encourage others to join our mission.” To donate, visit crowdrise.com/centerforyouthyoga. Kids Work It Out was founded by Danialle Karmanos in 2005, to combat childhood obesity and improve the quality of life for children in Detroit through a nationally acclaimed formula of yoga practice, mindfulness, social and emotional learning, trauma coping and nutrition education delivered throughout Detroit schools and community centers. Since 2005, the program has changed the lives of over 15,000 children. In 2017, the program was acquired by the Wayne State University Center for Health and Community Impact to effectively reach more children, elementary schools and community centers throughout the city. To learn more about Kids Work It Out, visit kidsworkitout.org or search for @kidsworkitout on Facebook, Instagram or Twitter. to transform how people think about, talk about, and participate in the giving season. It inspires people to take collective action to improve their communities, give back in better, smarter ways to the charities and causes they believe in, and help create a better world. #GivingTuesday demonstrates how every act of generosity counts, and that they mean even more when we give together. For more information about #GivingTuesday participants and activities or to join the celebration of giving, visit givingtuesday.org or search for @GivingTuesday on Facebook or @GivingTues on Twitter.